My cousin arranged an afternoon at a private plantation in South Carolina. He wanted to fish but he thought I might want to bring my camera and take some pictures too. When we got there it was nearly sunset and I knew right away I could spend days there shooting all kinds of stuff. 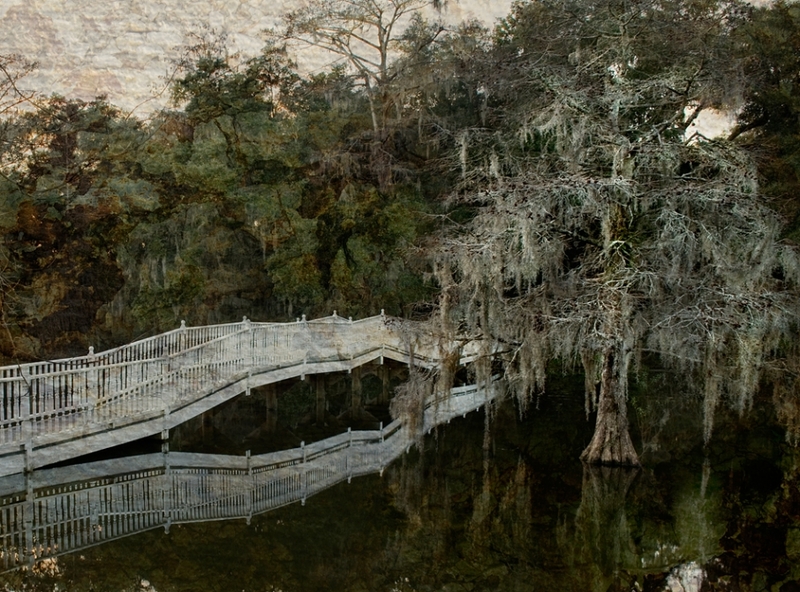 We drove around the old mansion and I was immediately drawn to the foot bridge and the dark trees in the background. As we walked toward the the bridge the tree in the water started to grab my attention. I walked back and forth taking in the serenity of the scene and finally planted my tripod and started shooting. As I processed this pic I thought, driving 500 miles back here would be worth it. I want to go back – my bucket list.